Meltan is a brand new Pokémon coming soon to Pokémon GO and Pokémon: Let's Go, Pikachu! and Let's Go, Eevee!. It's the only generation eight monster that we know about so far, and The Pokémon Company chose to announce it in a completely unprecedented manner. Right after the September Community Day concluded, Meltan appeared in the game with no name or CP, and upon catching it it would turn into a Ditto. This sent the internet raving mad. That's all in the past now though, as we know pretty much all there is to know about Meltan. 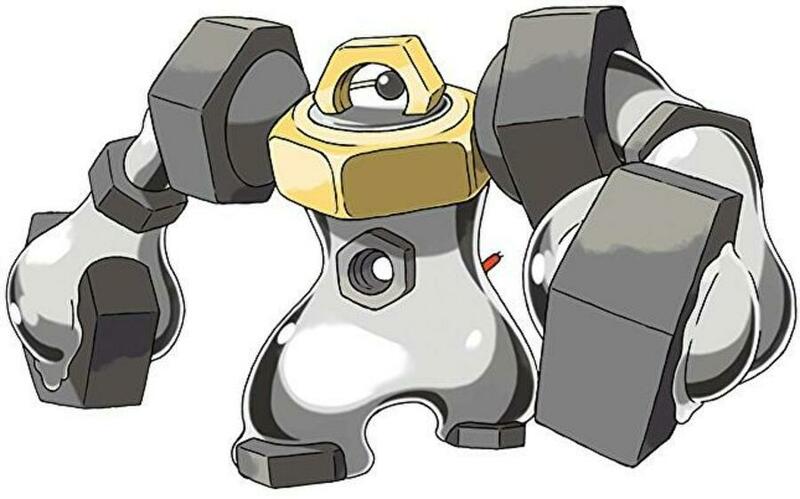 We know it evolves into Melmetal, is a Mythical Hex Nut Pokémon, and will be available in both Pokémon GO and Let's Go. In this guide, we'll go through everything we know about Meltan at this point, including its type, evolutions, and when it might appear in the game. How Do I Catch Meltan? Could This Be The Mysterious New Pokémon Promised In Let's Go, Pikachu! and Let's Go, Eevee? When Will We Find Out Exactly What This Is? Meltan is a brand new Steel type Pokémon just introduced in Pokémon GO. It's a Mythical Pokémon that is also described as a Hex Nut Pokémon. Most of Meltan’s body is made from liquid metal, and its shape is very fluid. It can use its liquid arms and legs to corrode metal and absorb it into its own body. The short answer is you can't – not right now. Meltan won't be available in Pokémon GO until Let's Go launches later this year, and even then the catching method is a little different to the norm. Transfer a Pokémon from Pokémon GO to Pokémon Let's GO. You don't have to transfer it to your own copy of Let's Go, according to Eurogamer. A friend's copy might do the trick. Open a Mystery Box that you'll receive in Pokémon GO for doing so. This releases Meltans into the wild for 30 minutes, allowing you to catch them to your heart's content. After 30 minutes, the Mystery Box closes and you'll have to transfer another Pokémon to Let's Go to get another Mystery Box. New special research tasks will also make their way into Pokémon GO shortly that relate to Meltan. That might offer another avenue for collecting the mysterious Pokémon, but we won't know until it's available in the game. Melmetal is Meltan's evolution, which is a first of its kind for Mythical Pokémon. None of the prior Mythical types like Mew or Celebi had evolutions. So it makes sense then that you have to collect 400 Meltan Candy to evolve into Melmetal – a feat that might prove surprisingly easy considering how you catch Meltan. Can you game the system to collect a ton of Meltans at whim? 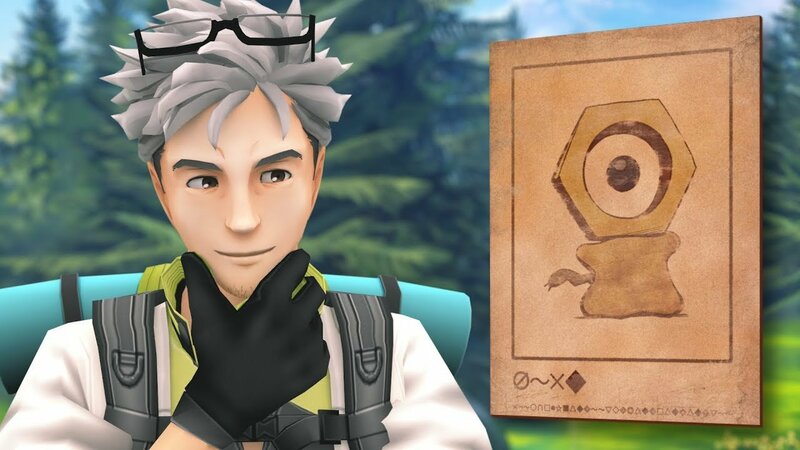 It seems that you can't evolve Meltan to Melmetal in Pokémon Let's Go, which is curious. Instead, you'll have to transfer it from Pokémon Go into Let's Go. Melmetal is a Steel-type Pokémon with a signature move called Double Iron Bash. It's a Steel type too, hits twice, and makes your opponent flinch. All we know so far is that this mysterious Pokémon randomly started appearing shortly after the September Community Day, and that many players have encountered it since. That's as of yet unclear. 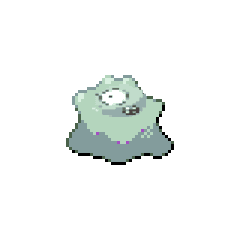 It currently has no name, doesn't appear in the Pokédex, and turns into a Ditto the moment you try and catch it. 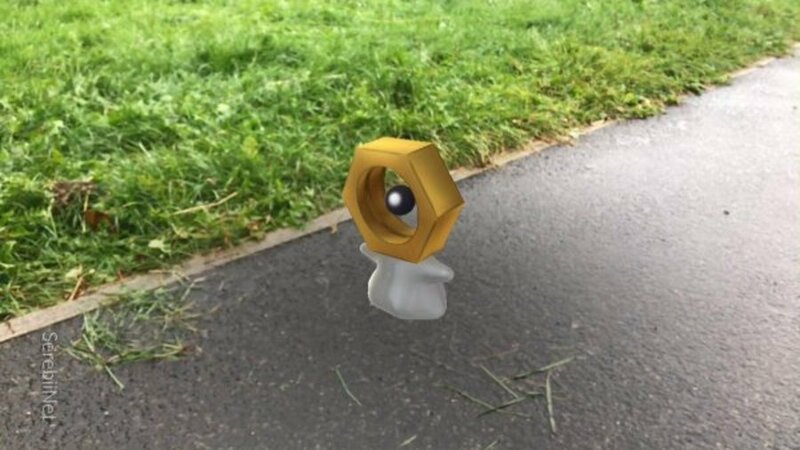 Initial speculation pointed towards the Nut Pokémon being a placeholder inclusion in Pokémon GO, and that releasing it into the wild was a accident on Niantic's part. This was later somewhat miscredited when Niantic's Head of Marketing Kento Suga tweeted about it. So far, fan theories have pointed towards two pretty solid conclusions: that this mysterious Pokémon is Kecleon or a brand new Pokémon entirely. 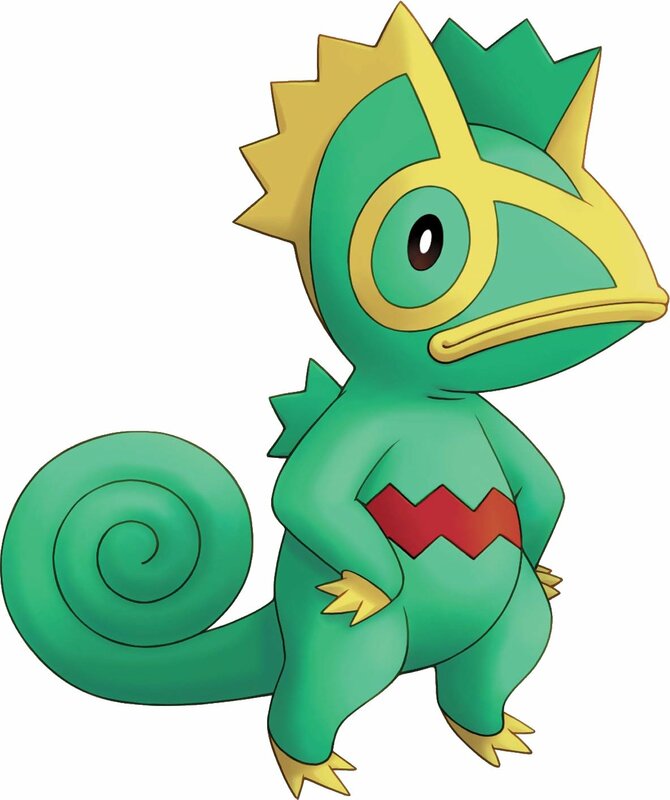 Kecleon is a chameleon-like Pokémon that can take the form of its environment in order to hide, which could explain Ditto's confusion when it tries to transform into it. Dataminers found further "evidence" when they discovered that the mysterious Nut Pokémon was labeled as 'Kecleon' in the game files. Almost certainly. In fact, the Pokémon itself has now appeared on the official site for Pokémon: Let's Go, Pikachu! and Let's Go, Eevee!, and the official description claims that Pokémon GO is "key to meeting this curious new Pokémon in Let’s Go, Pikachu! and Pokémon: Let’s Go, Eevee!. Either way, we should find out what this mysterious new Pokémon is very soon. If it is Kecleon, then Niantic can introduce it properly at any point, as Gen 3 is already available within the game. If not, well, it's not that long until Pokémon: Let's Go, Pikachu! and Let's Go, Eevee! launch on Nintendo Switch. Maybe then? Either way, we'll keep on top of this fan speculation and keep this guide updated with any developments. Stay tuned. What do you reckon this mysterious new Pokémon is? Is it Kecleon? A Brand new Pokémon? Something else entirely? Let us know what you reckon in the comments section below. Don't forget to check out our other Pokémon GO guide content! @foxyglen It appears the wider pokémon community seem to agree that the #891 does not relate to it's Pokédex number but to it's asset number - when making a new generation Gamefreak round up to the nearest hundred. The last asset number in Gen 5 was 649... Gen 6 started with 701. The last asset number in Gen 6 was 774... Gen 7 started with 801. -Also asset numbers are not in pokédex order. It's been confirmed that Pokémon Go uses the same asset numbering system as the mainline games, so it seems very unlikely that this 'nut' pokémon would be a new Gen 8 pokémon, otherwise it's asset number would be 901+. The files actually tell us it's Gen 7. Also, it can't be an Alolan Ditto.. as forms share the same asset number as their original form. Anyway, all this could be wrong, blah, blah, blah. But this is what I've gleaned from a little research on the subject. I don't believe for a nanosecond that this "leak" was a glitch or a mistake of some kind. It's a teaser of some sort for Pokemon's 8th generation, which we will get next year. They "leaked" it into the game right after a community day - a major event - ended. So they knew there'd be a ton of people playing right at that time. That was planned. Absolutely. A new Mythical Pokémon to boot, and will be available in Pokémon Let's Go Pikachu and Let's Go Eevee. What a surprise! I genuinely thought it was going to be a confused ditto transforming into a perceptual error based on a camouflaged Kecleon. @FoxyGlen No problem, though it appears we now have confirmation on who this Pokémon is... it's Meltan. 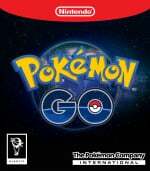 Here's the Go Hub article on the new Pokémon. It seems that Meltan (the liquid metal Pokémon) is a new Pokémon for Let's Go Pikachu/Eevee & may be obtainable from a Quest in PoGo eventually. Also, it's appearance in Let's Go (a pre-Gen 8 game) may explain it's Gen 7 asset number. This is major clickbait, "Here's how to do it" - "We don't know"
Is it really the time to make a guide when you fill your FAQ if unsure and maybes? Does anyone know if a Meltan that was previously caught which transformed into a Ditto will change back to a Meltan? I would much prefer that to not happen because I was able to get the "Catch a Ditto" quest done and I don't want to lose my Ditto. I am trying to collect one of every Pokémon as well. @Alundra-1998 No, from the way I'm reading it they're just trying to say that the Ditto saw a Meltan & copied it.. not that they are necessarily related. Considering Professor Willow mentioned "fieldwork" at the end of the video, I'm pretty sure that means we'll get a Mythical Quest somewhere down the line to catch it. And yes, I've transferred most of my "Meltan" Ditto too. Edit: I've caught 3 of every Pokémon so far... except Mew, Celebi & the Gen 2/3 regionals. @DanteSolablood Thank you very much. Does transferring any of the Pokémon to Pokémon Let's Go remove said Pokémon completely from Pokémon GO? The title is clickbait if I ever saw it. "At the moment, we're unsure." @Alundra-1998 Yes, when you send your Pokémon from Pokémon Go to Let's Go, you're effectively "sending" that pokémon to the Switch game. I believe you do get a candy though. Maybe all this time Professor Oak hasn't been grinding up all the Pokémon we've been sending him? Maybe he's just been stocking Kanto back up? There's no way that Meltan will be released through a Special Research task. Nintendo wants Pokémon Go players to purchase Let's Go Pikachu & Eevee for Switch - so my guess is that Meltan will be a bonus for connecting a Go account to the Go Park in the games. > ...we're going to explain everything you need to know about Meltan, including how to catch it. > How Do I Catch Meltan? @SuperC142 I think what @Foxyglen is trying to do with the title is futureproof the article. Rather than writing a separate article later on explaining how the actual capture will occur, they're putting all the Meltan information in one place & will update it once we know how to catch the Ditto-1000. This seems to be the norm for Pokémon Go articles at the moment, including the Raid Bosses & Shiny Guides. It makes for some confusing comment sections... but I guess it frees up some server space. @Galenmereth Well when you start getting closer to Pokémon 1000, I guess it gets harder to make Pokémon distinct and fresh. Considering people have been moaning hard about Pokémon designs since Gen 2, I wouldn't really expect Gamefreak to pay much attention to the critics any more. Boy who cried wolf & all that..
@DanteSolablood you pretty much hit the nail on the head there! Thing is, clarifying that there isn’t currently a way to catch the Pokèmon IS answering the question. There’s value in that as it saves you time hunting the internet for an answer that isn’t there. Like, that is the question people are asking right now. I don’t think it makes the article invalid that the answer is there isn’t one. Oh, and we’re doing a lot of evolving guides from now on. It’s just more helpful for players to see the whole journey in one place, rather than create hundreds of separate articles that answer different questions. So I totally see why it appears to be click bait, but we did actually answer your question. @TheHumbleFellow Came here to say the same thing. This "guide" is useless. It will work with any copy of Let's Go, not just one you own. They confirmed that.